For most of the US, May signals nature's green light for planting and gardening. Especially after a cold, dreary winter, seeing the beautiful colors of a garden come to life really does lift the spirit! Gardeners know success and growth comes through many careful steps. A healthy foundation must be established in the soil, followed by planting, weeding, watering, nourishing, nurturing...etc, etc.This same dedication to growth also happens here at Healer Within Foundation! You may have noticed the "gardeners" of the Healer Within Foundation - our leadership, volunteers, trainers and Tai Chi Easy™ Community Practice Leaders - have grown the reach and accessibility of self-care in amazing ways over the past few years.The consistent effort and dedication of many people have increased the trainings and practice groups and reached more people this year. Supporting more events and practice groups means there is more to do! 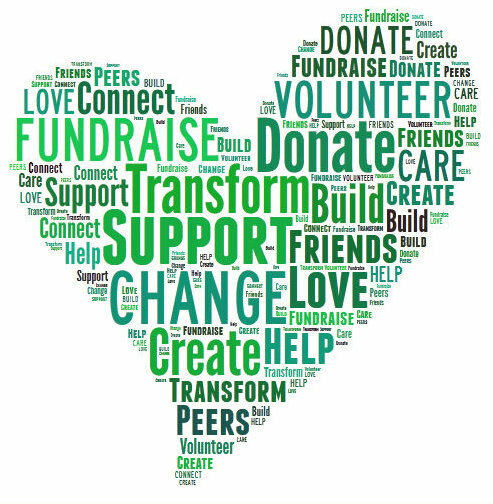 We are excited to announce our annual fundraising season has begun! See the article below for specifics on how your gift can help take the Tai Chi Easy™ Dissemination Project to the next level of growth. nourish communities with the benefits of Tai Chi Easy™! We welcome you to join us as we continue to see self-healing practices blossom around the world. April Shower Of Training Events! We experienced an unprecedented number of Tai Chi Easy™ Practice Leader training events last month. The following six training events certified a whopping 126 new Practice Leaders! Congratulations to all the training teams and event organizers! More photos at the HWF Flickr page! and need your support! Please donate now through the Autumn Equinox (September 23, 2018) to help as we continue to grow! 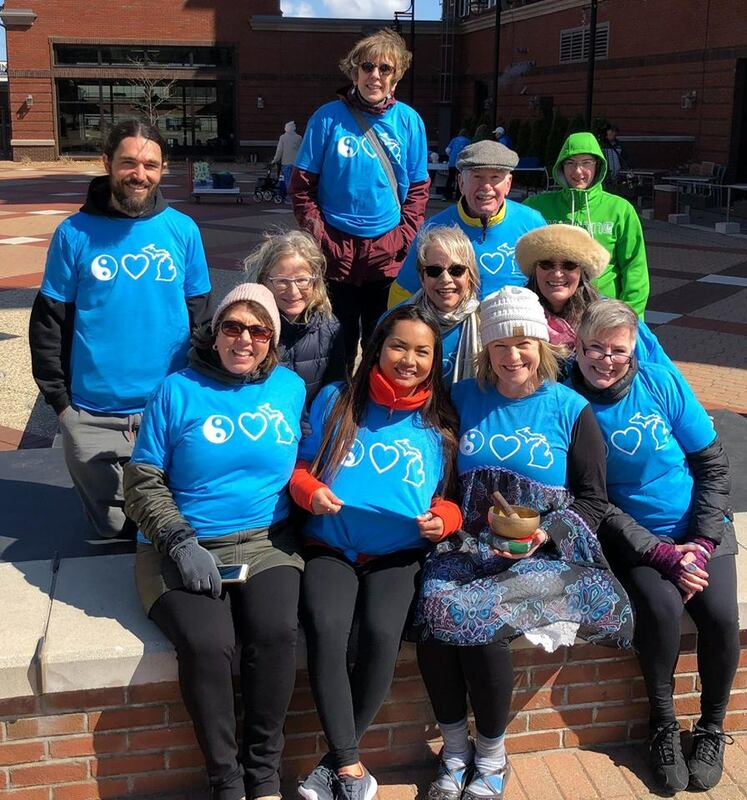 Your support makes it possible for the Healer Within Foundation to bring community-based Qigong/Tai Chi and other self-healing body-mind-spirit-practices to greater numbers of people. Please donate today. Thank you! Recently, a TIME magazine article highlighted many of the positive health benefits of Tai Chi. Specifically, how the practice can help those suffering from chronic pain and condition such as Fibromyalgia. Access the full article and video synopsis, HERE. If interested, please write and request an Event Inquiry Form from TQT at [email protected]. Also, you can assist at most every Tai Chi Easy™ Practice Leader training event! Assisting is a great way to learn from other trainers and leaders and to brush up on your technique and practice. 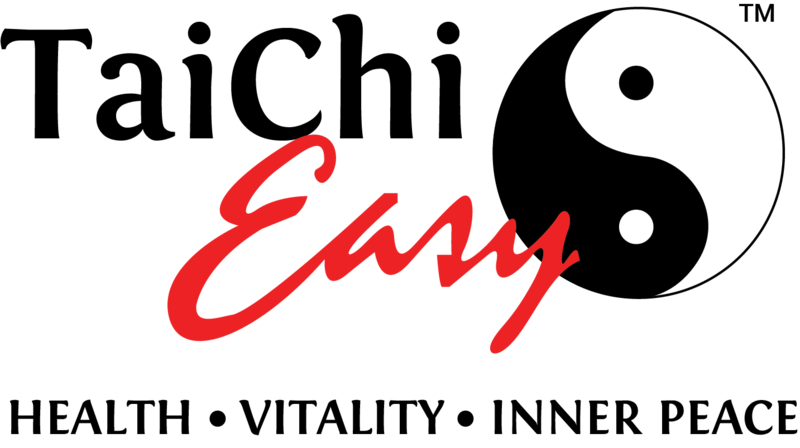 Click HERE to see a list of current Tai Chi Easy™ Practice Leader training opportunities. Questions? Contact Christie Ward. 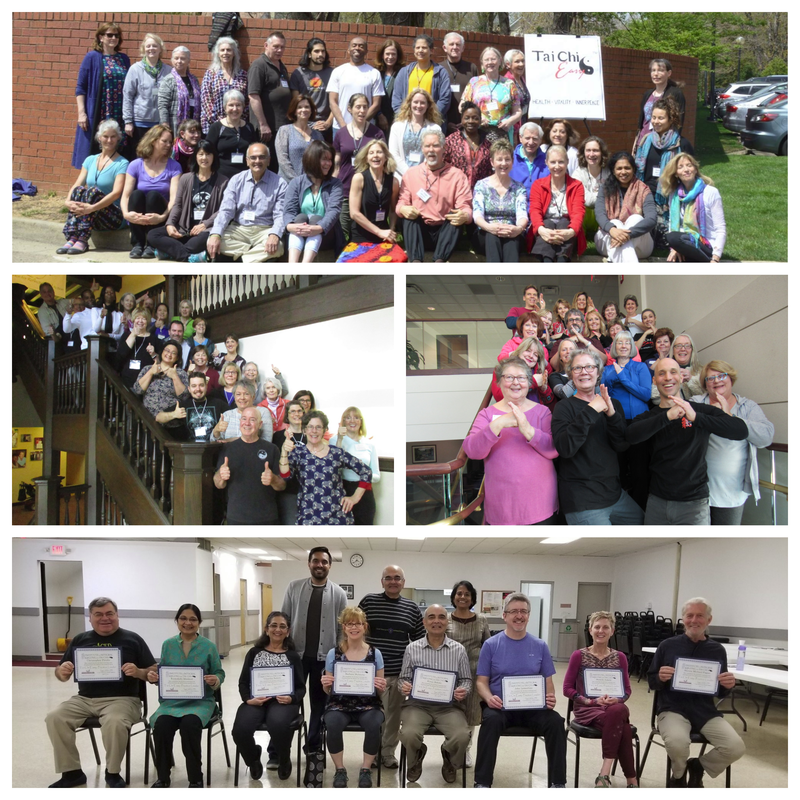 World Tai Chi and Qigong Day (WTCQD) was celebrated on April 28, 2018 in hundreds of cities, in over eighty nations around the globe! Many Tai Chi Easy™ Practice Leaders organized and led events in their communities, such as Marcia Schrotenboer (shown below holding singing bowl with attendees of her WTCQD event). Thanks to all who helped promote the restorative, self-healing practices of Tai Chi and Qigong! Gather ideas for your event next year at the official WTCQD website, HERE. 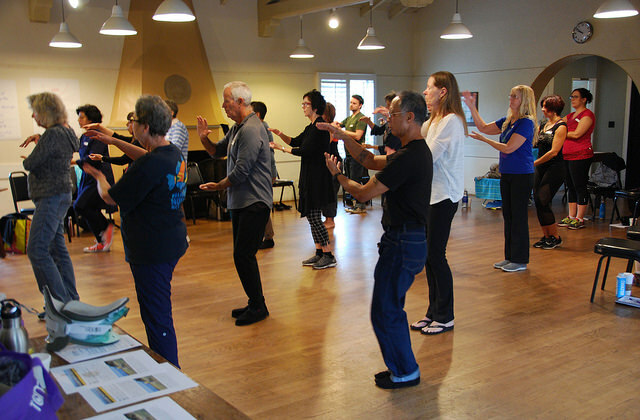 Bring A Tai Chi Easy™ Training Event To Your Community! 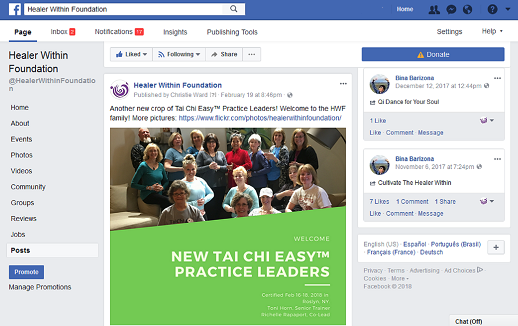 If you are Interested in organizing a Tai Chi Easy™ Practice Leader Training event in your area, Contact Christie Ward for more information and check out the Organize a Tai Chi Easy™ event web page. This resource makes it even easier for YOU to plan a training event! 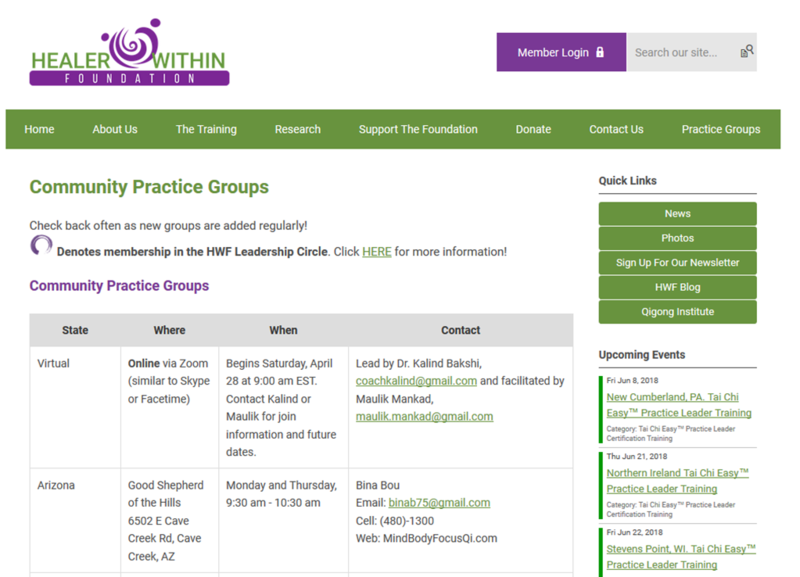 Also, consider joining the Healer Within Foundation Leadership Circle. This dedicated group has chosen to give back to their communities and the HWF.